We made a mental note to come back (the store was closed for the evening) and did just that a week later when we were mapping out a pot of jambalaya and realized we were out of our good rice. 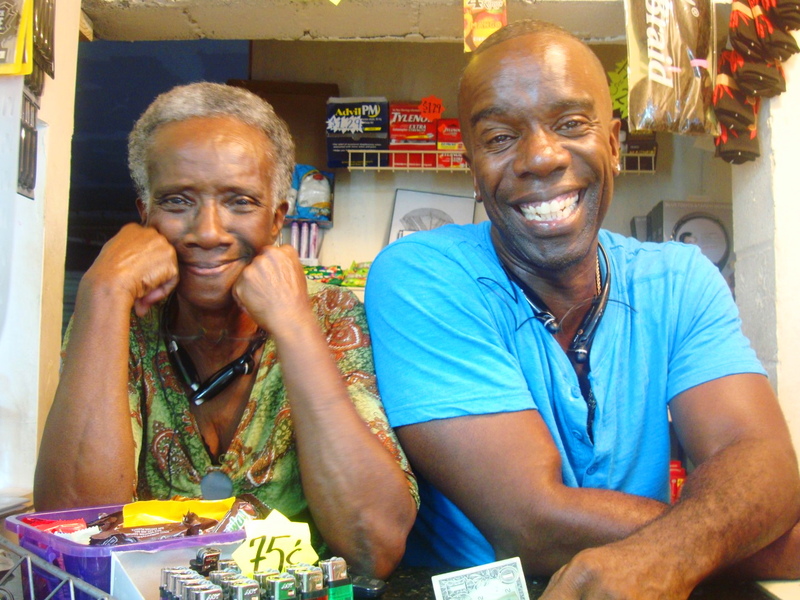 The owner of Lower 9th Ward Grocery has been featured on CBS News, Huffington Post, NPR and PBS in recent weeks for his Caffin Avenue Plaza; a Galvez Street concern that houses a sweet shop, grocery store, hot food kitchen and barbershop. Mr. Cotlon is pictured here with his mama Lillie.